"Crossed Signals" is an action drama included in our program to illustrate the work and contributions of our star Helen Holmes. 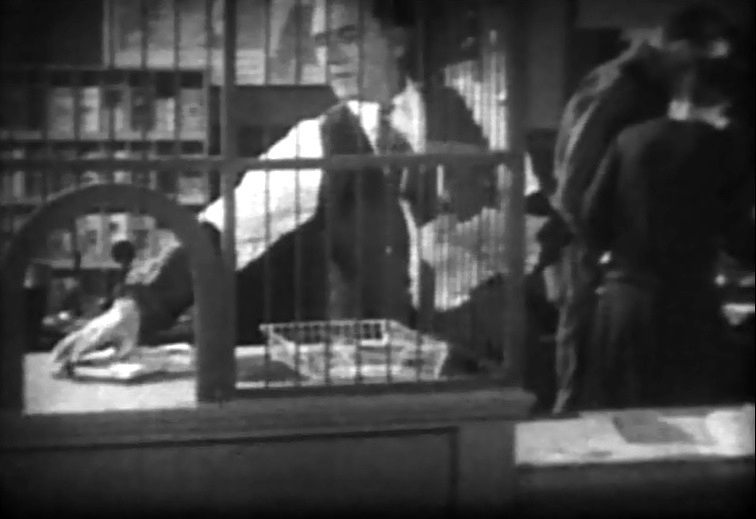 Federal agents try to dismantle a gang of counterfeiters operating from the station in a small town. 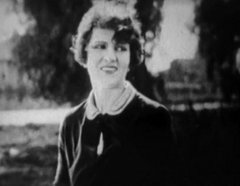 Helen Holmes, the station manager, is framed by the criminals and must clear her name in addition to finding the stolen money. 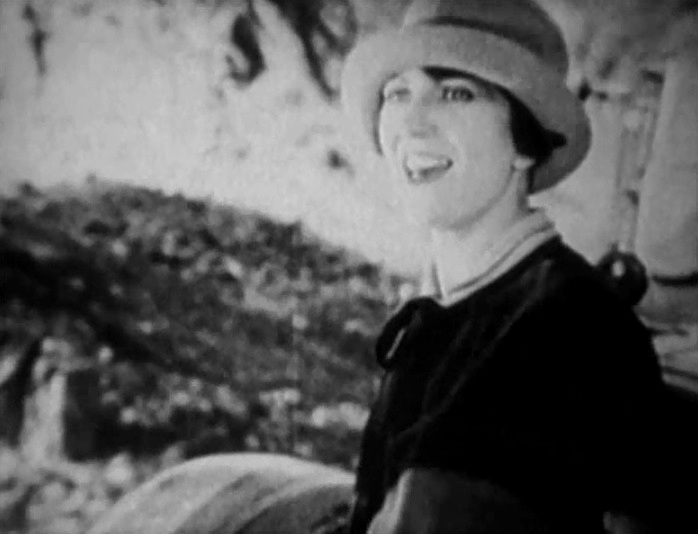 This was the last film of Helen Holmes. After "Crossed Signals" she retired from acting. 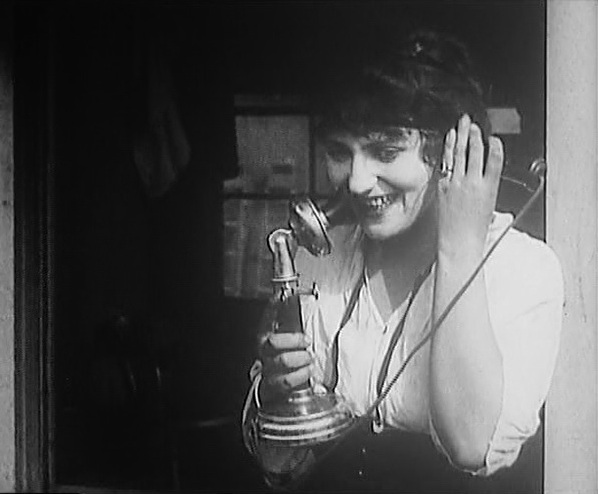 Helen Holmes is a station agent in "Crossed Signals" (1926). 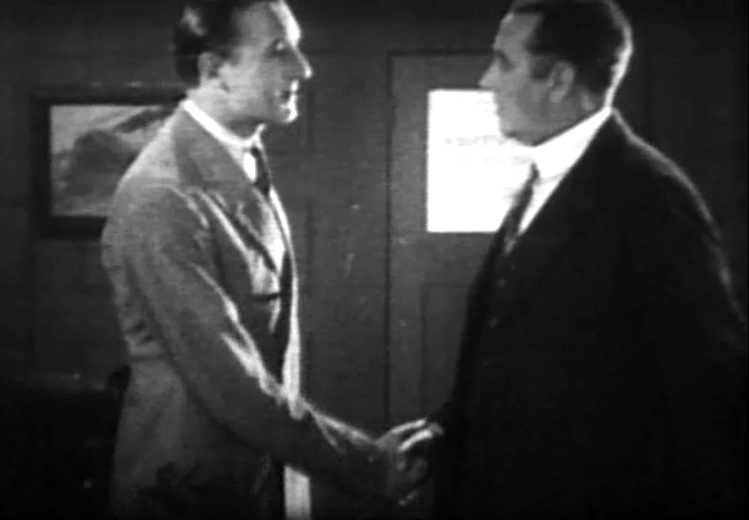 Henry Victor, a federal agent, presents his credentials to the local authorities in "Crossed Signals" (1926). 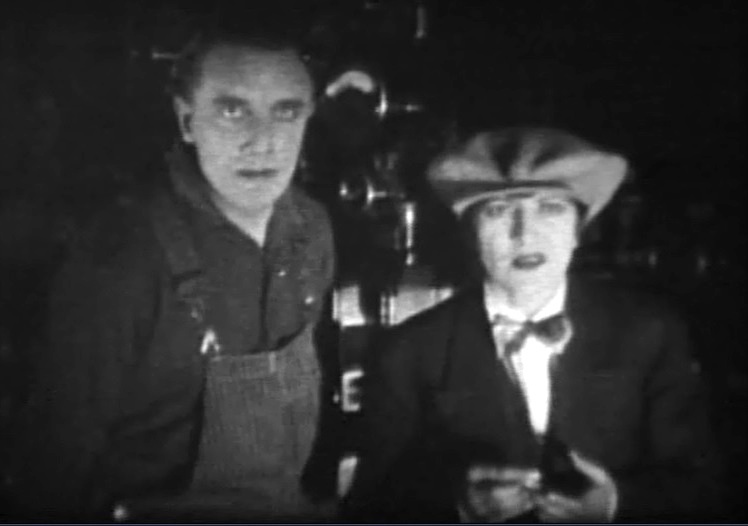 Helen Holmes is concerned as she witnesses the fight between two workers in "Crossed Signals" (1926). 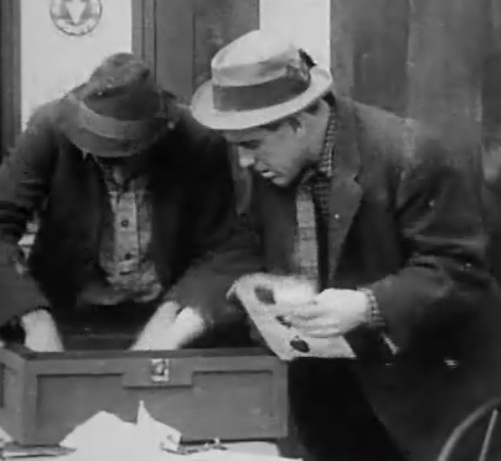 William Lowery, who works for Helen Holmes, is part of the gang of counterfeiters in "Crossed Signals" (1926). 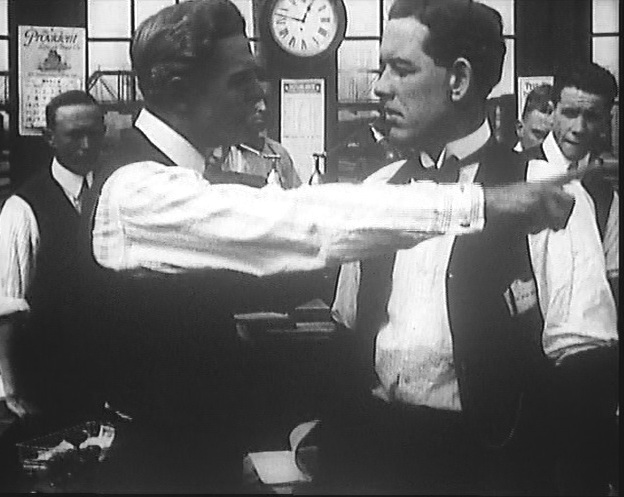 William Lowery switches a stack of fake bills for the good ones in "Crossed Signals" (1926). 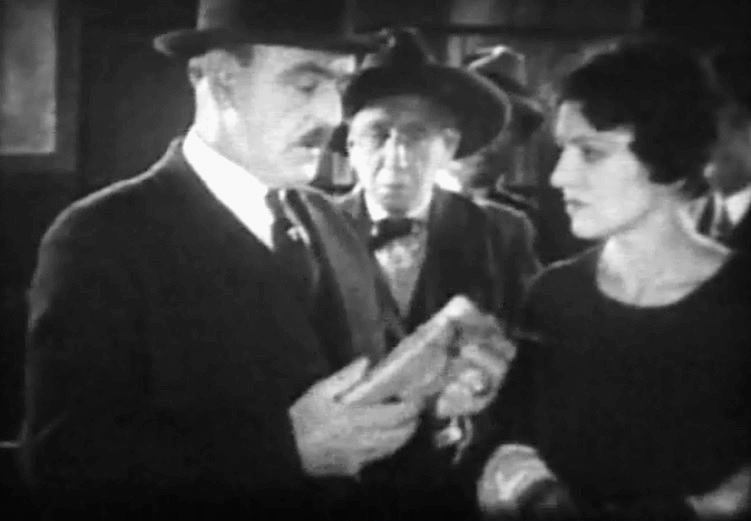 Helen Holmes hands the counterfeit money for delivery in "Crossed Signals" (1926). 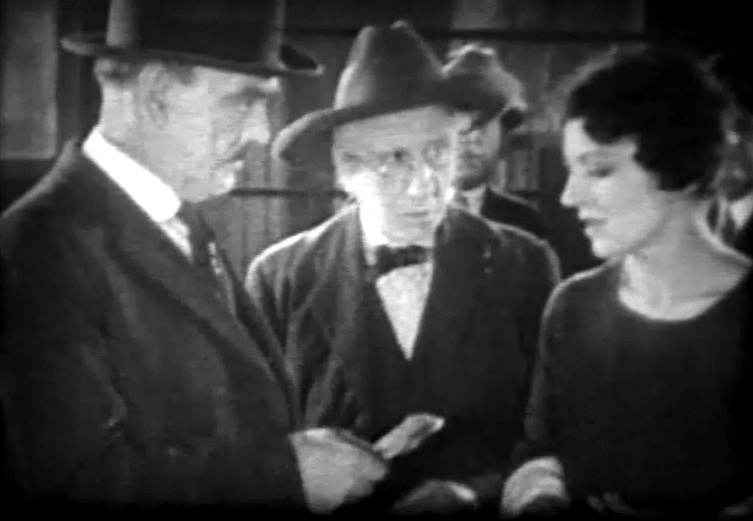 Helen Holmes is confronted for giving a change of fake bills to a customer in "Crossed Signals" (1926). 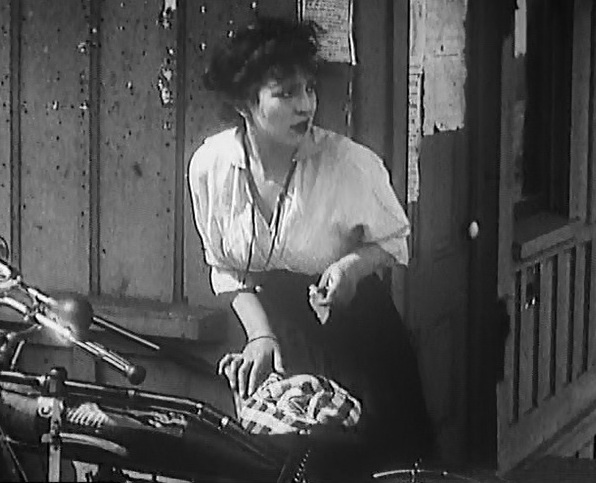 Helen Holmes is very worried for apparently getting framed in "Crossed Signals" (1926). 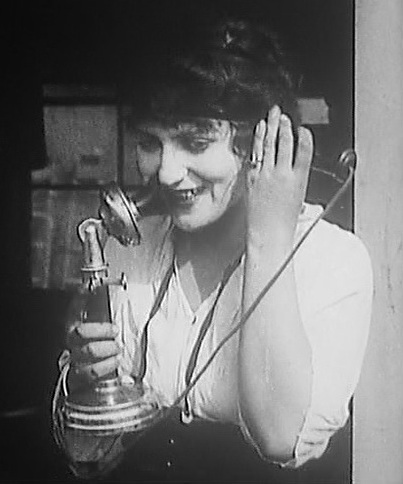 Helen Holmes gets a clue from an overheard conversation in "Crossed Signals" (1926). 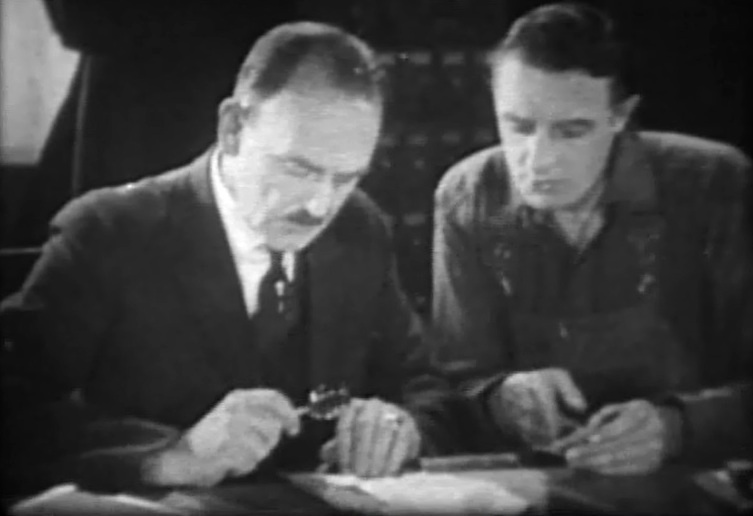 Henry Victor presents evidence to the local chief of police in "Crossed Signals" (1926). 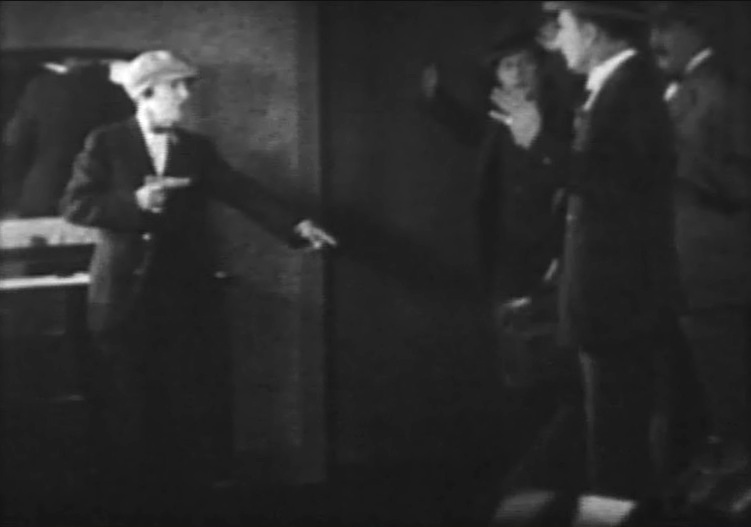 Helen Holmes confronts the criminals with a gun, but is soon overpowered in "Crossed Signals" (1926). 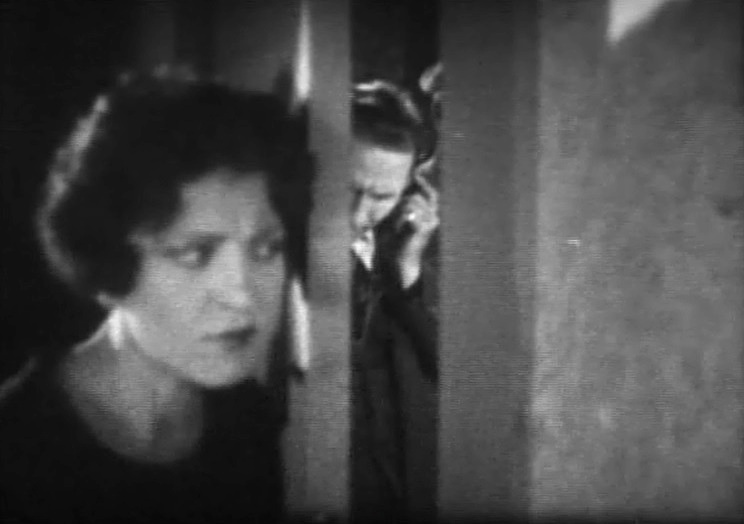 Helen Holmes and Henry Victor watch the criminals board a train trying to escape in "Crossed Signals" (1926). 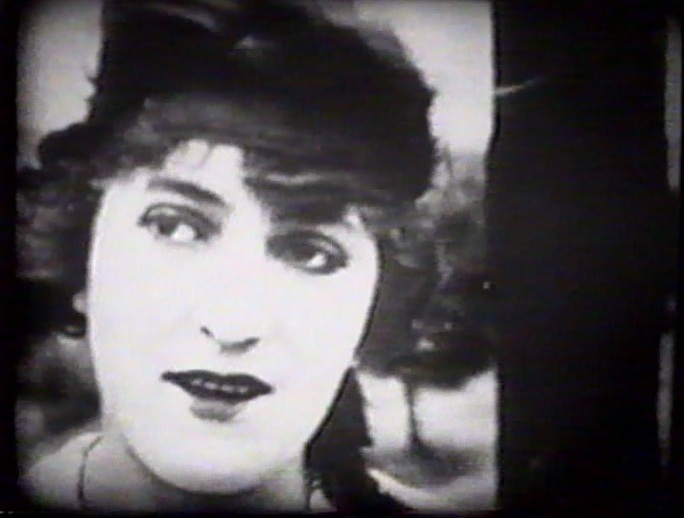 Helen Holmes organizes the pursuit in "Crossed Signals" (1926). "In Danger's Path" directed by J.P. McGowan from a story by Edward T. Matlack, is a short action film from a serial by the name of "The Hazards of Helen" starring Helen Holmes. 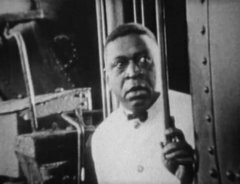 This is episode 33 from a total of 119 weekly one reel films produced by Kalem, showing just how popular this serial was in 1914-1917. 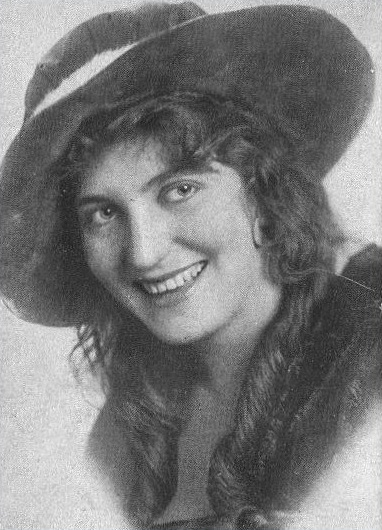 The first 48 films starred Helen Holmes, the remaining 71 starred Helen Gibson. They both played heroines that were independent and adventurous, resolving dangerous situations with quick thinking. 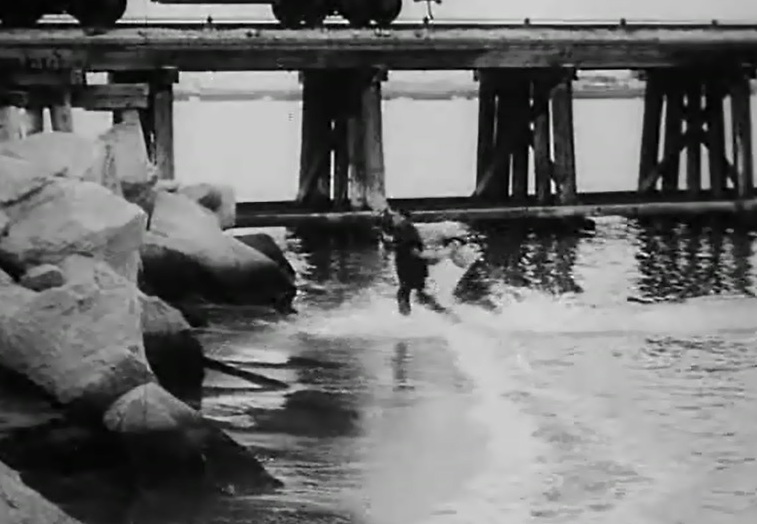 Their acting was very physical and they performed their often very dangerous stunts. 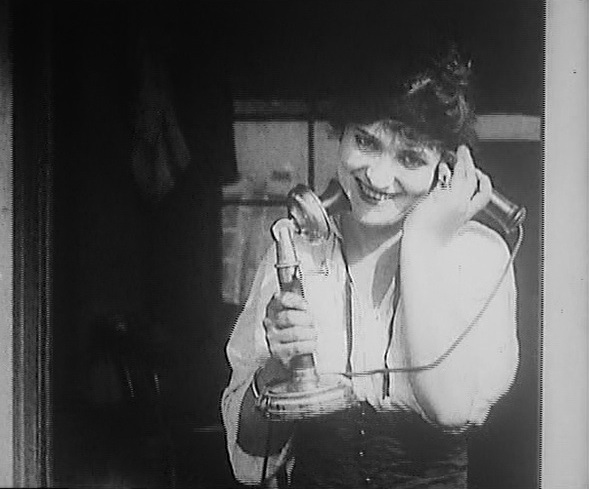 It is believed to be the longest film series in the silent era and one of the longest ever. 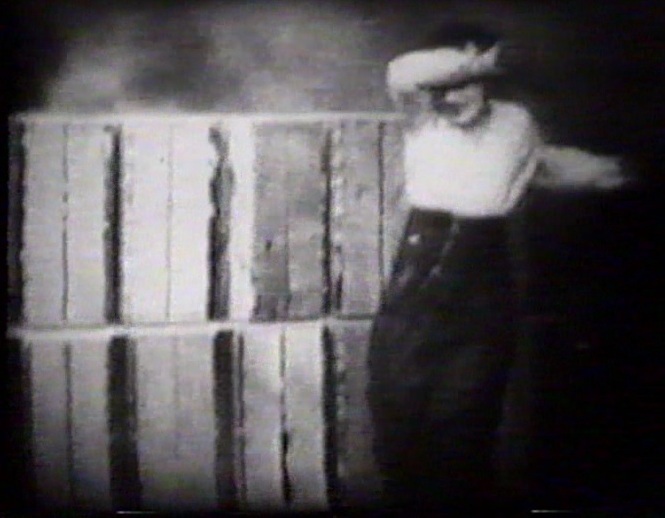 Very few of the films survive, and we are happy to be able to show this rarity to our esteemed viewers. 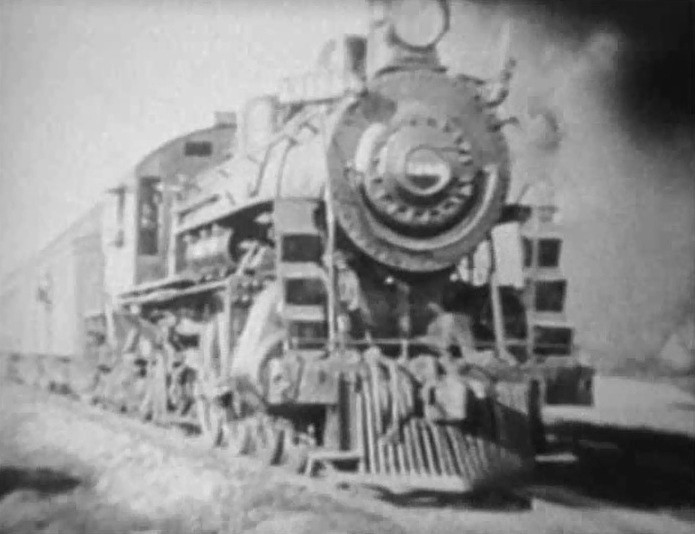 Many of the episodes, including this one, tell about railroad adventures. 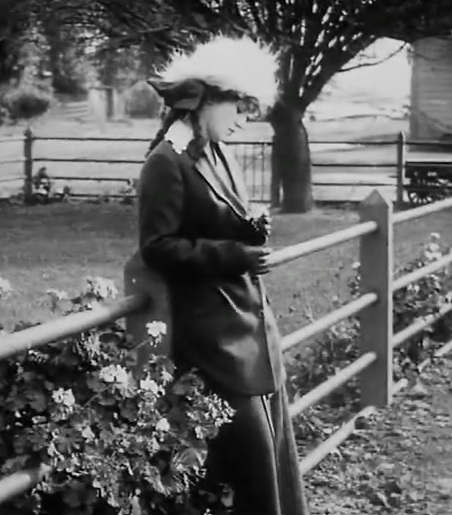 "In Danger's Path" (1915). 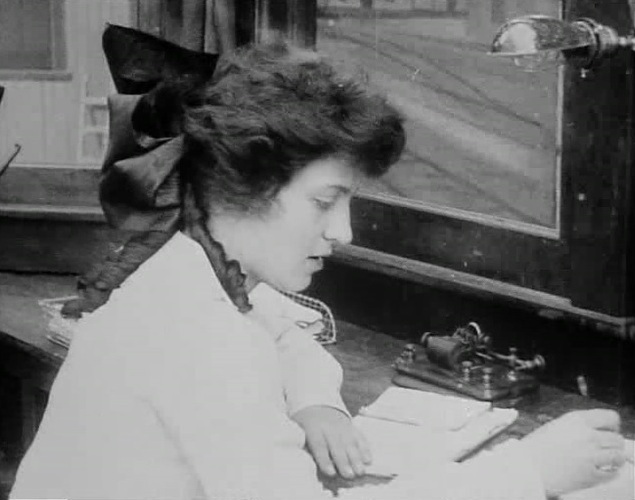 Helen Holmes is a telegraph operator. 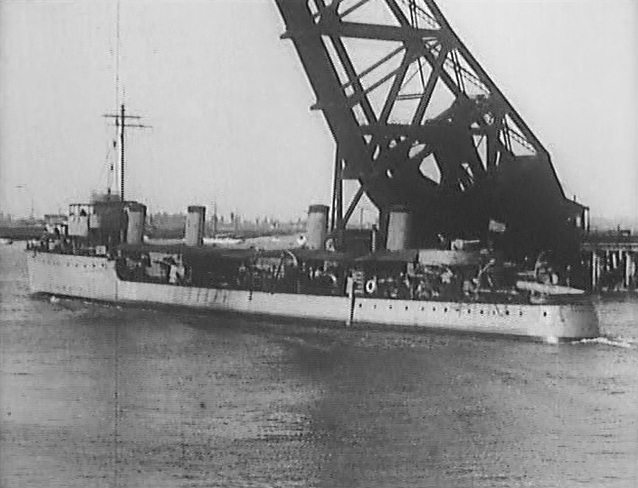 "In Danger's Path" (1915). 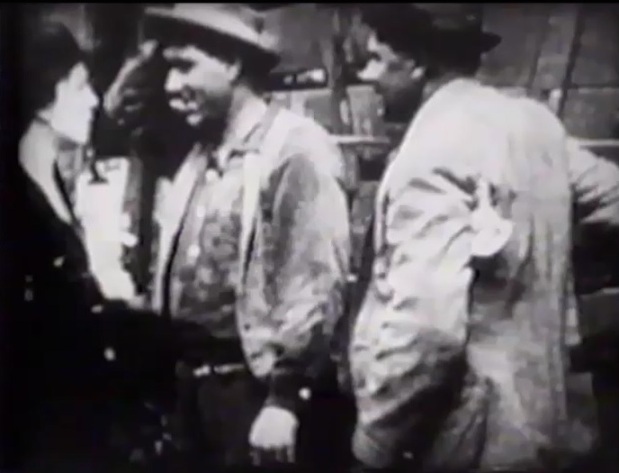 Helen Holmes bumps into the two train thieves. "In Danger's Path" (1915). 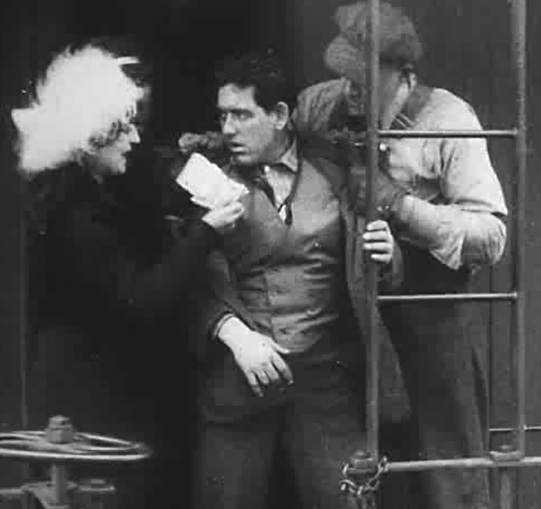 Helen Holmes is locked in a box car by the criminals. "In Danger's Path" (1915). 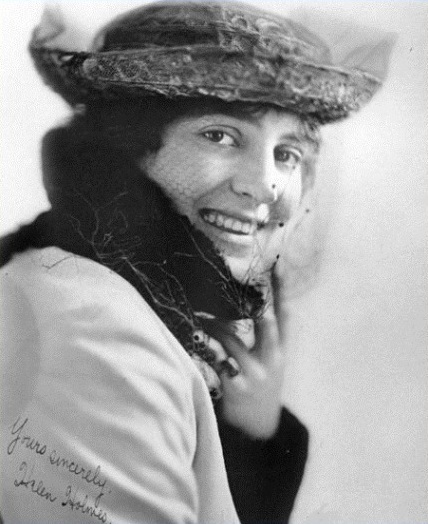 Helen Holmes is very cold. "In Danger's Path" (1915). Helen Holmes tries to make fire the old-fashioned way. "In Danger's Path" (1915). 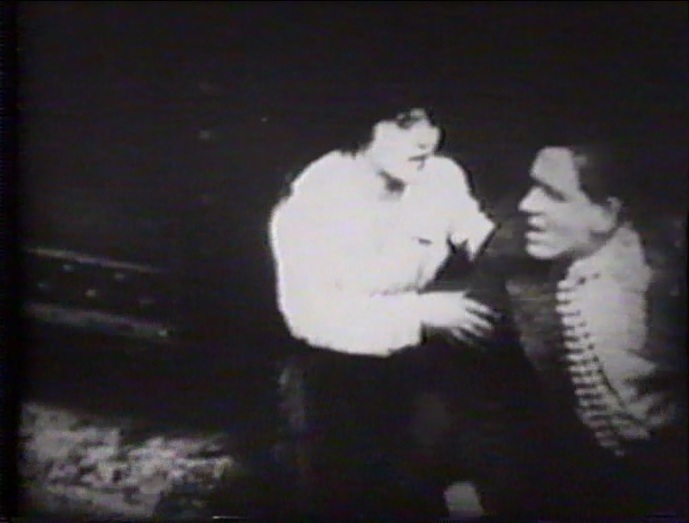 Helen Holmes is rescued from the burning car. "In Danger's Path" (1915). 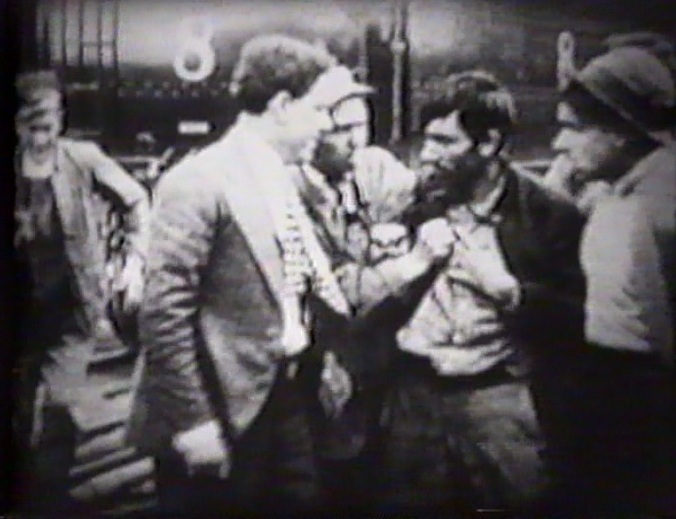 Helen Holmes sees Leo Maloney fighting with the two train thieves. "In Danger's Path" (1915). 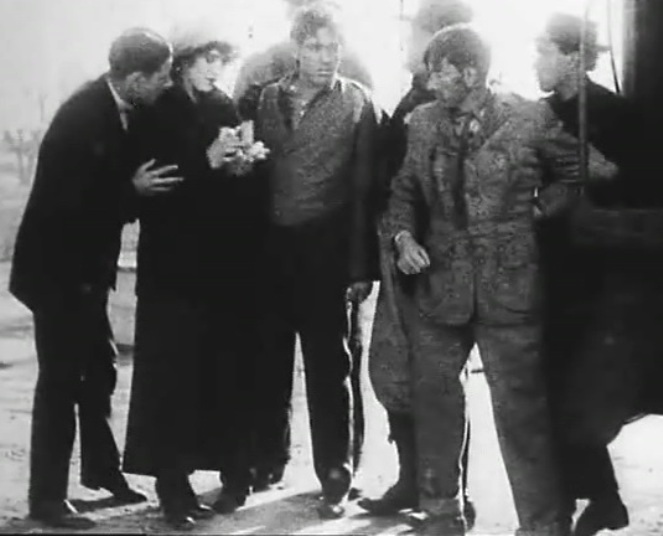 Helen Holmes rescues Leo Maloney. 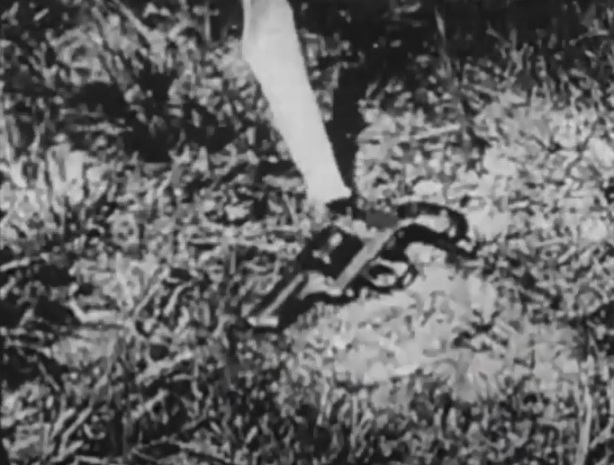 "In Danger's Path" (1915). 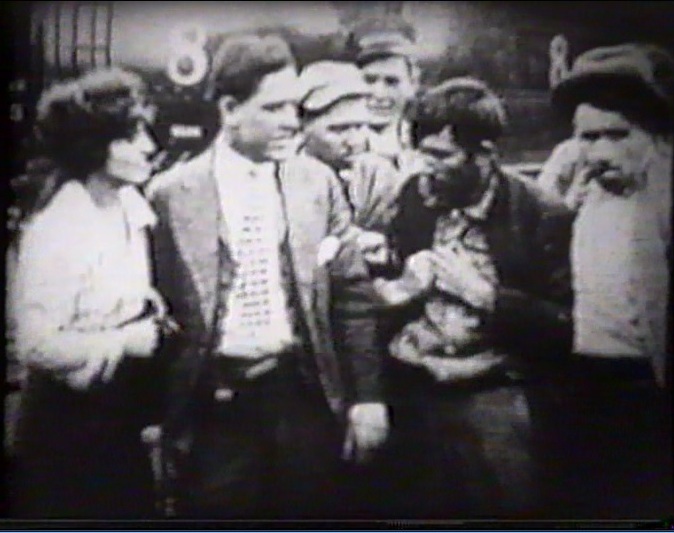 Leo Maloney gives the train thieves some pep talk. "In Danger's Path" (1915). 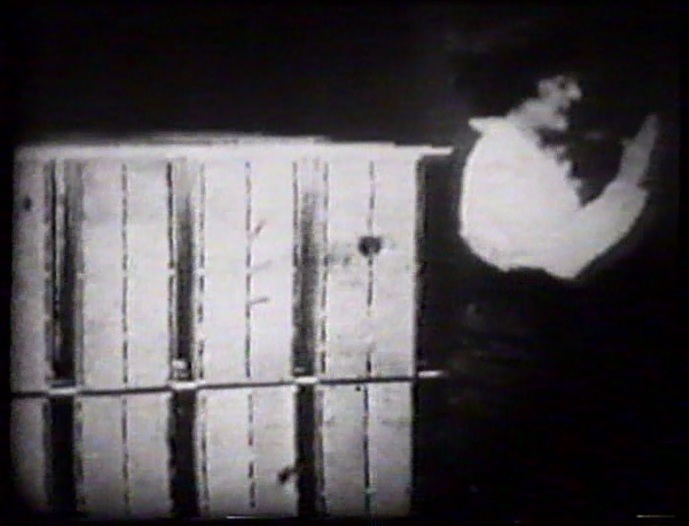 Helen Holmes and Leo Maloney check the arrested criminals. 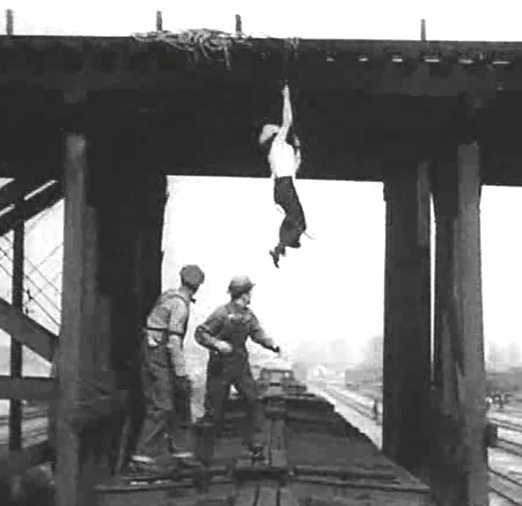 "The Leap from the Water Tower" directed by J.P. McGowan from a story by Edward T. Matlack and Frank Howard Clark, is a short action film from a serial by the name of "The Hazards of Helen" starring Helen Holmes. This is episode 9 from a total of 119 weekly one reel films produced by Kalem, showing just how popular this serial was in 1914-1917. 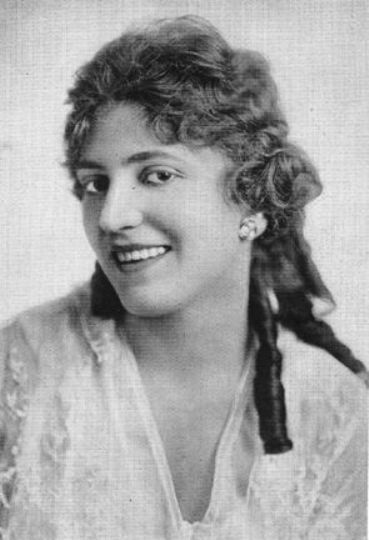 The first 48 films starred Helen Holmes, the remaining 71 starred Helen Gibson. They both played heroines that were independent and adventurous, resolving dangerous situations with quick thinking. 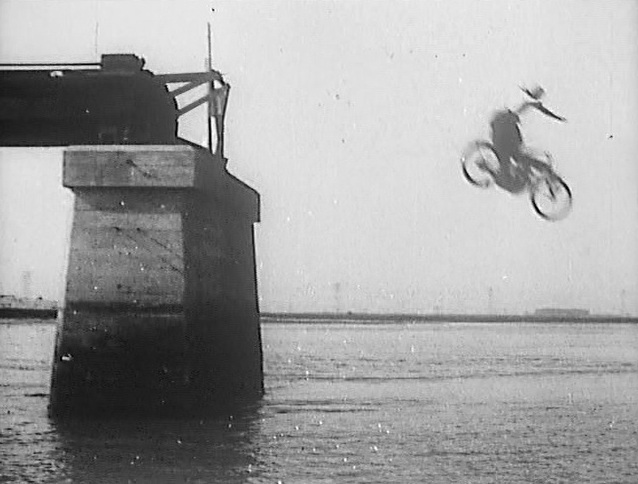 Their acting was very physical and they performed their often very dangerous stunts. 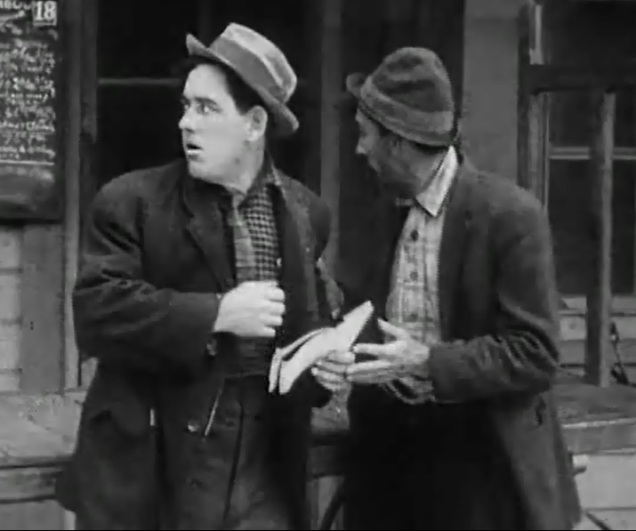 It is believed to be the longest film series in the silent era and one of the longest ever. 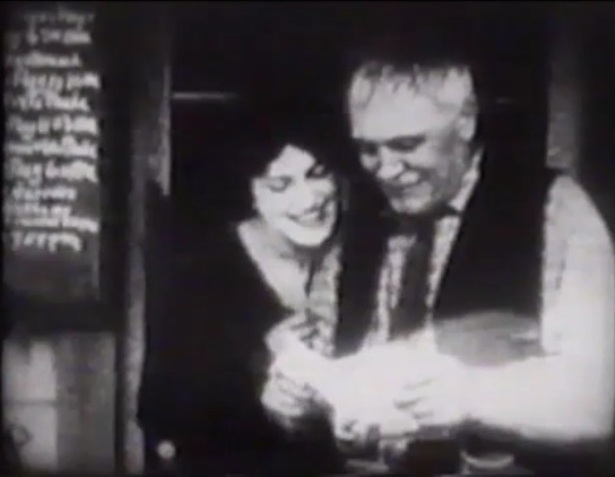 Very few of the films survive, and we are happy to be able to show this rarity to our esteemed viewers. Many of the episodes, including this one, tell about railroad adventures. 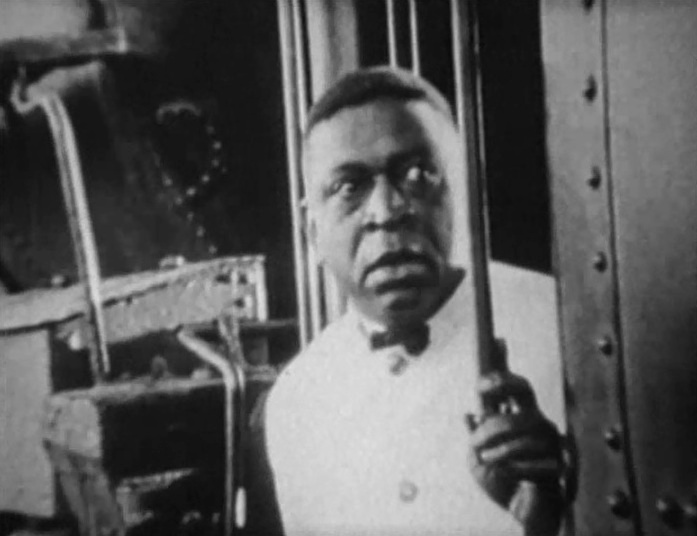 A disgruntled fired worker decides to get even by tampering with the brakes of a large train. Helen receives the news at an intermediate station and has to try and fix the problem before disaster strikes. 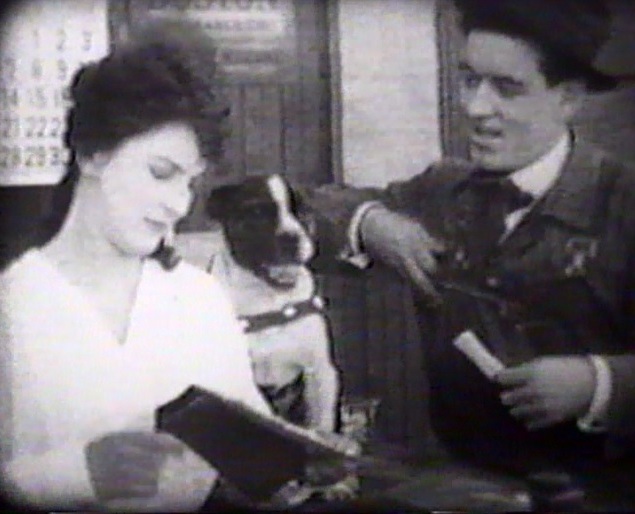 Helen Holmes pets her puppy as Leo Maloney talks business in "The Leap from the Water Tower" (1915). 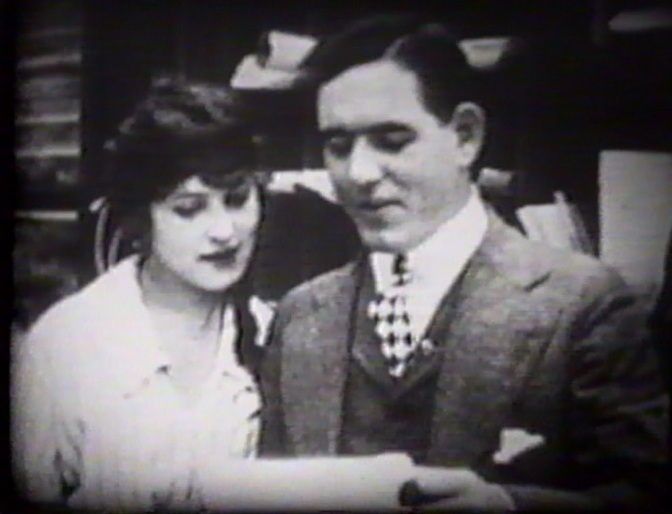 Helen Holmes and Leo Maloney discuss business in "The Leap from the Water Tower" (1915). 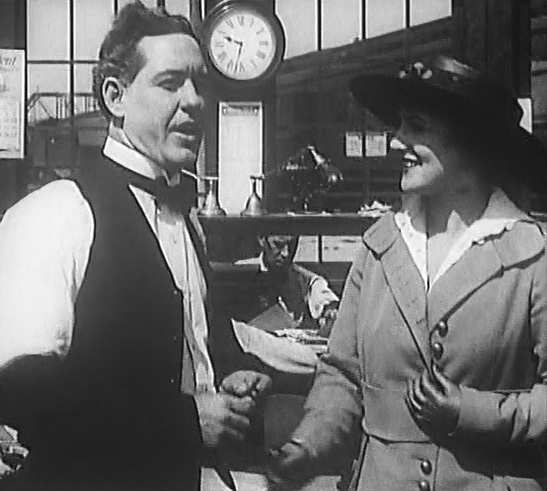 Helen Holmes and Leo Maloney have some pep talk in "The Leap from the Water Tower" (1915). 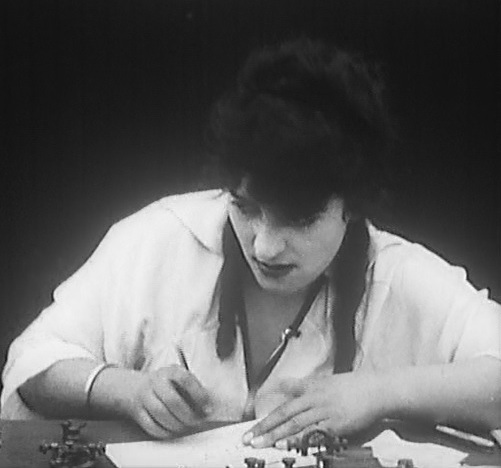 Helen Holmes receives an urgent message in "The Leap from the Water Tower" (1915). 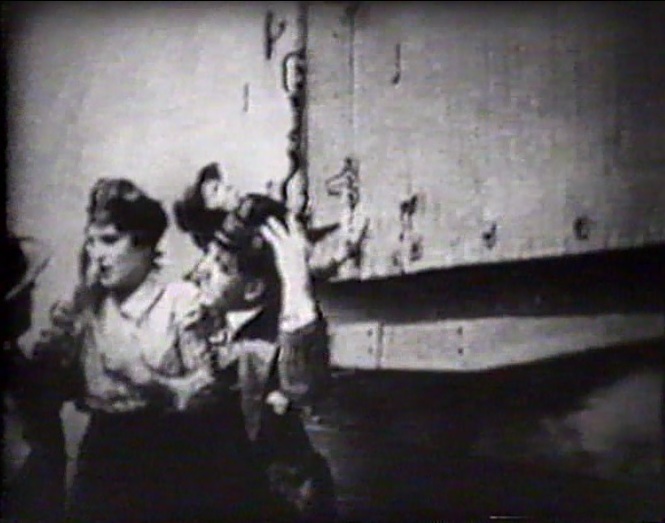 Helen Holmes is concerned about a dangerous situation in "The Leap from the Water Tower" (1915). 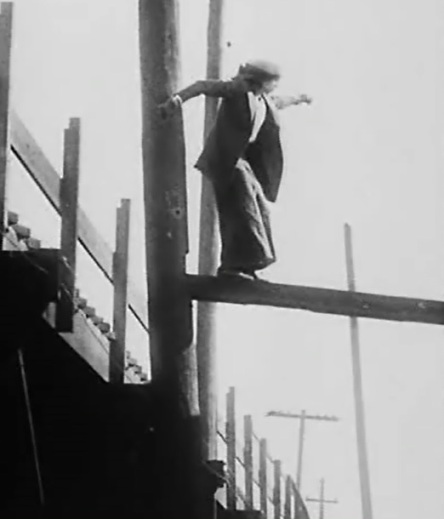 Helen Holmes makes a dangerous jump in "The Leap from the Water Tower" (1915). 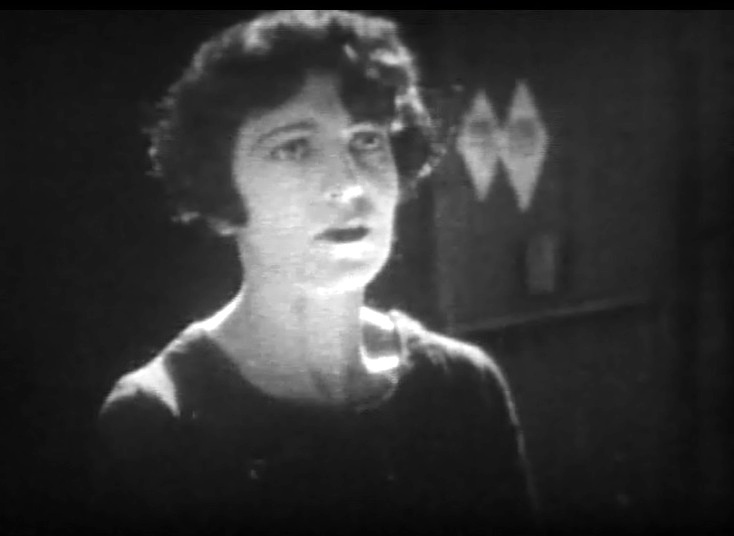 Helen Holmes tells Leo Maloney about the problem in "The Leap from the Water Tower" (1915). 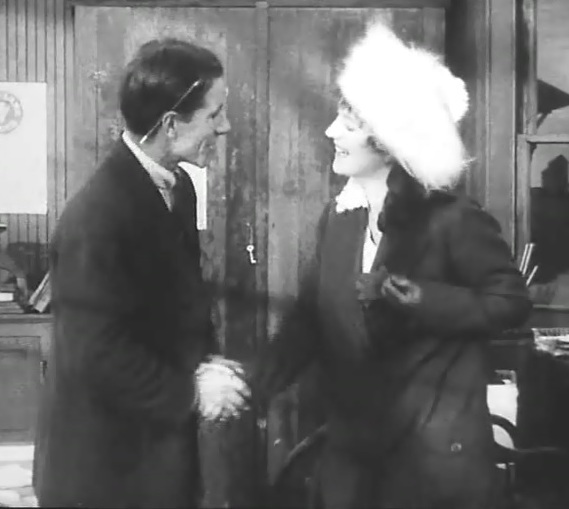 Helen Holmes and Leo Maloney in a happy sprint after fixing the problem in "The Leap from the Water Tower" (1915). 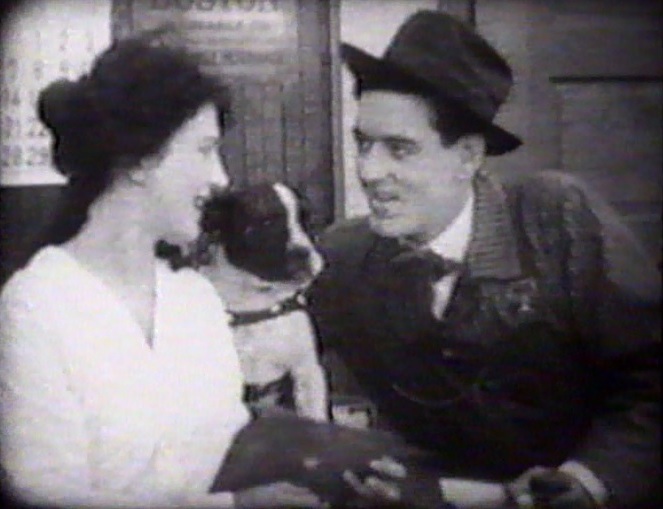 Helen Holmes, Leo Maloney, a puppy and a horse share a quiet moment in "The Leap from the Water Tower" (1915). 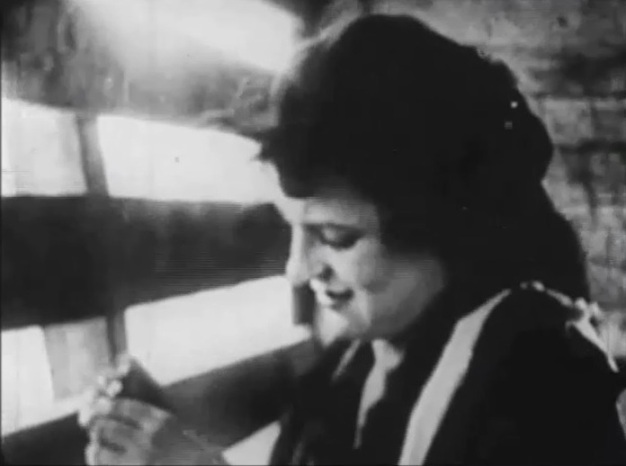 "The Open Switch" is a railway action crime drama included in our program to illustrate the work and contributions of our star Helen Holmes. 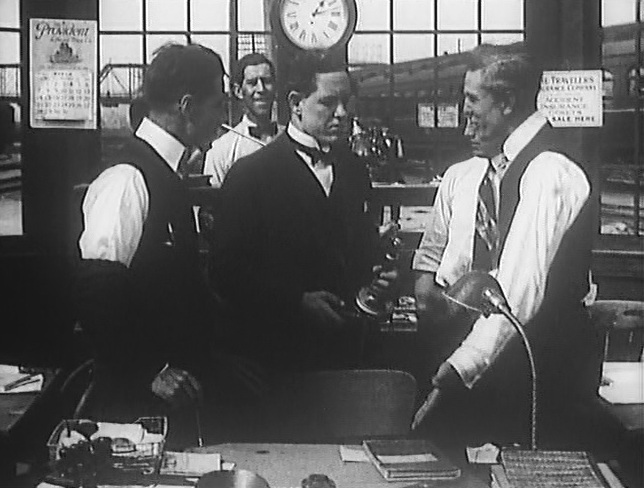 Federal agents investigate the mysterious disappearance of a postal package, which is of great value to the railroad company. Helen Holmes gets a tip and helps to detain the criminals and find the missing property. 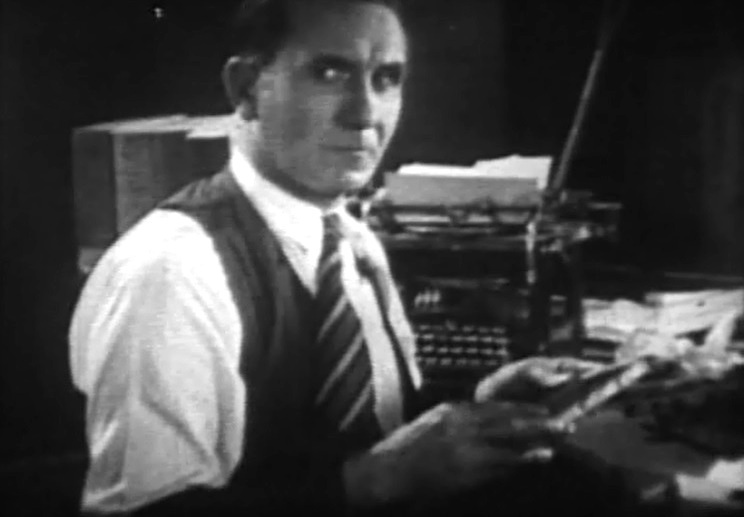 "The Pay Train" directed by J.P. McGowan from a story by Edward T. Matlack, is a short action film from a serial by the name of "The Hazards of Helen" starring Helen Holmes. 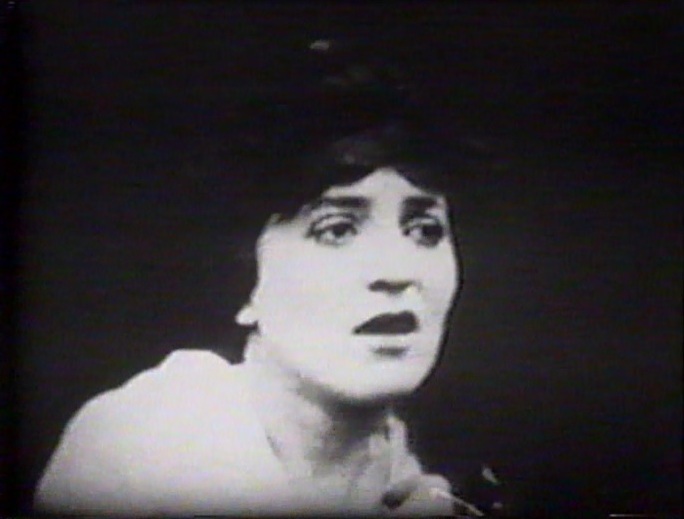 This is episode 31 from a total of 119 weekly one reel films produced by Kalem, showing just how popular this serial was in 1914-1917. The first 48 films starred Helen Holmes, the remaining 71 starred Helen Gibson. 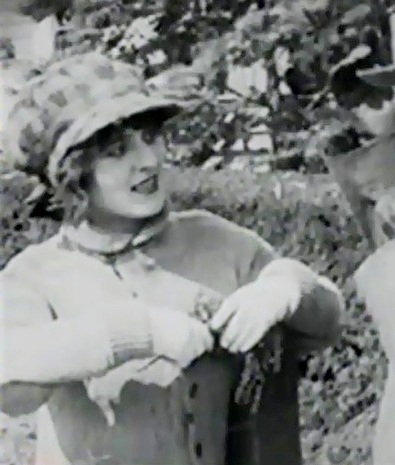 They both played heroines that were independent and adventurous, resolving dangerous situations with quick thinking. 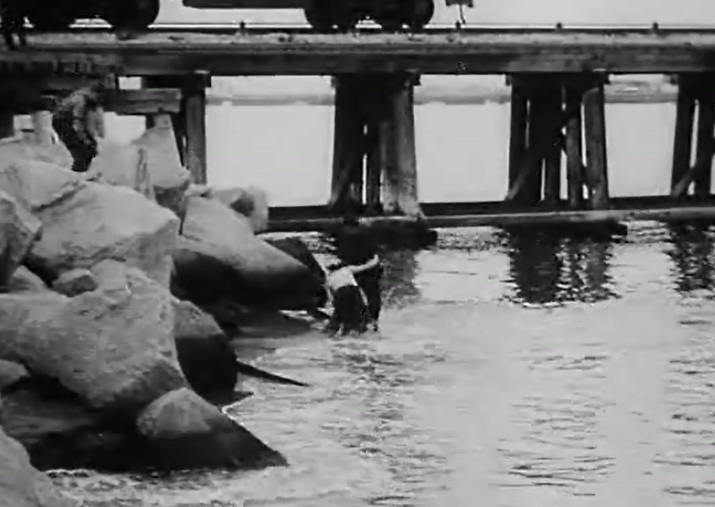 Their acting was very physical and they performed their often very dangerous stunts. 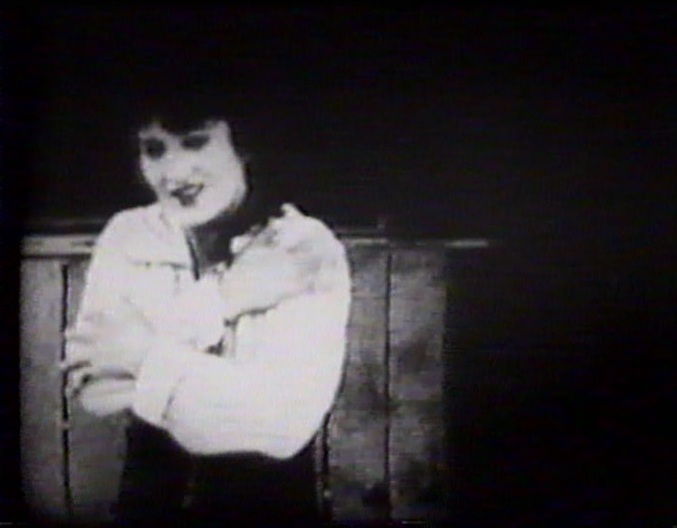 It is believed to be the longest film series in the silent era and one of the longest ever. 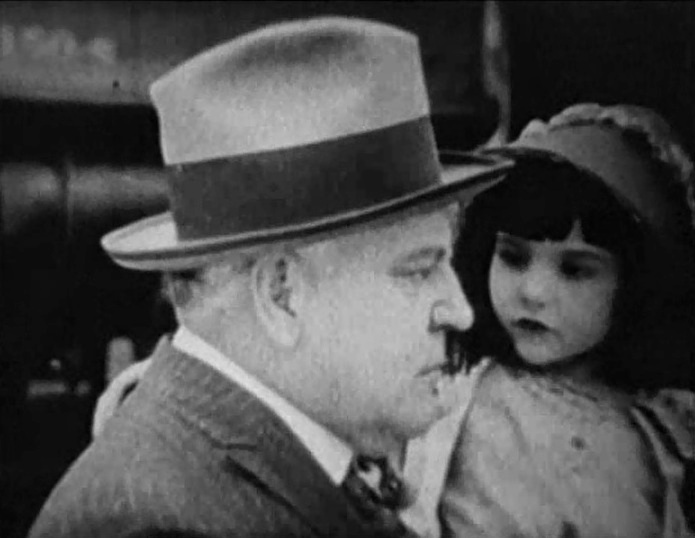 Very few of the films survive, and we are happy to be able to show this rarity to our esteemed viewers. 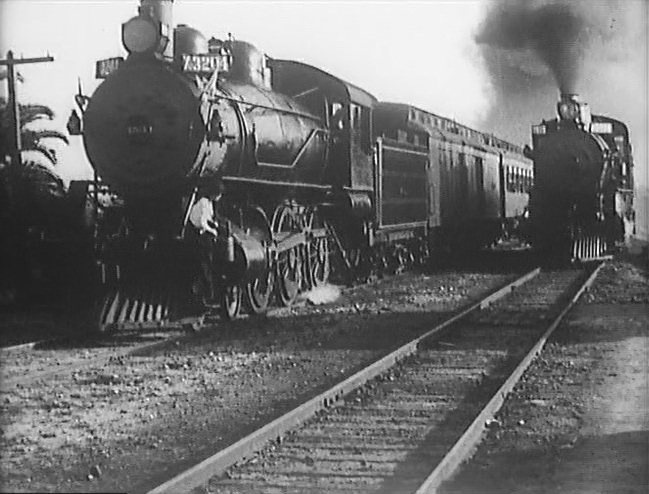 Many of the episodes, including this one, tell about railroad adventures. 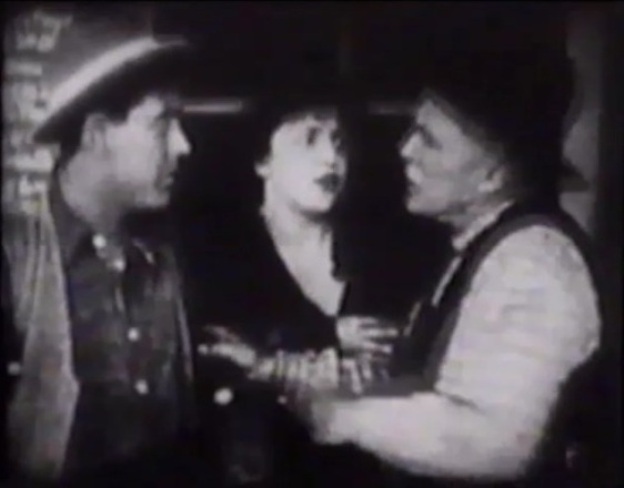 Hoot Gibson has a modest role as one of the evildoers. He would become one of the luminaries of Western films in the years to come. 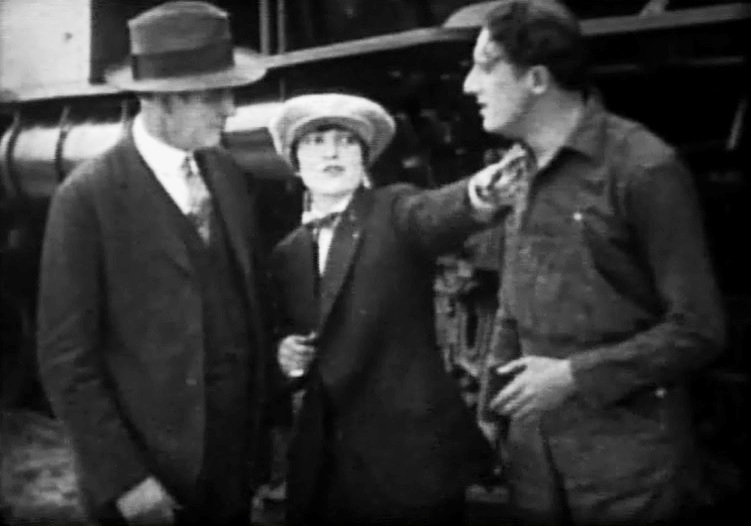 When Leo Maloney (L) starts a scuffle, Helen Holmes gets help from her Section Foreman George Williams in "The Pay Train" (1915). 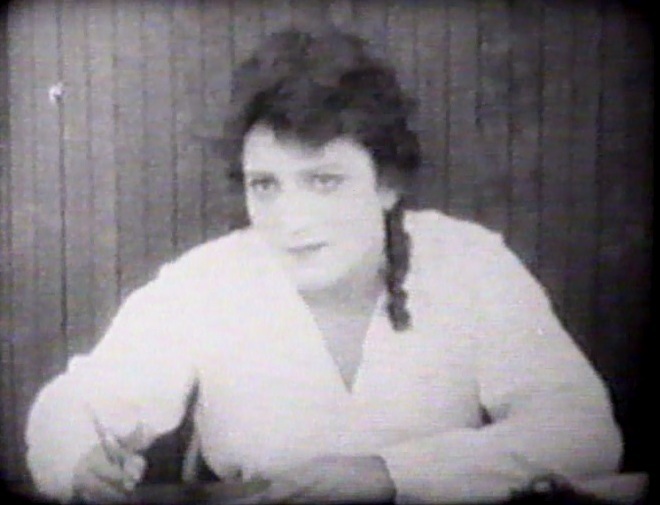 Helen Holmes in turn helps George Williams when he gets in trouble in "The Pay Train" (1915). 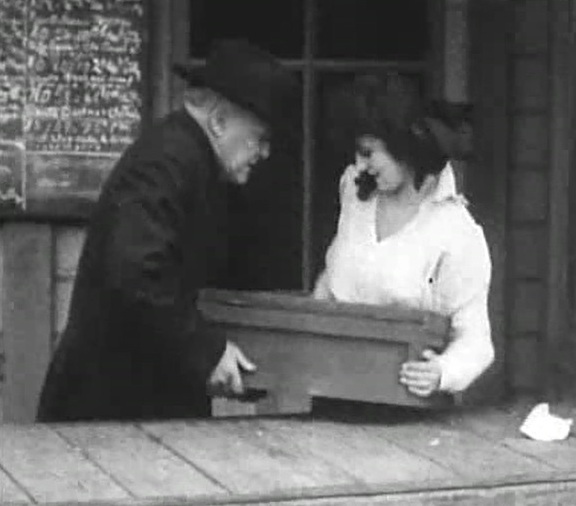 Helen Holmes and George Williams read a telegram in "The Pay Train" (1915). 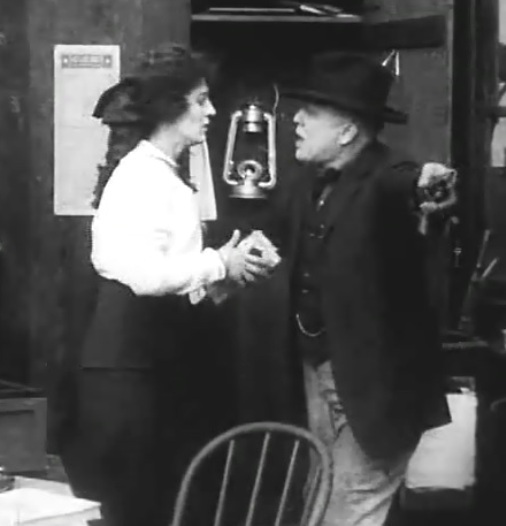 This time Helen Holmes is confronted by Leo Maloney alone in "The Pay Train" (1915). 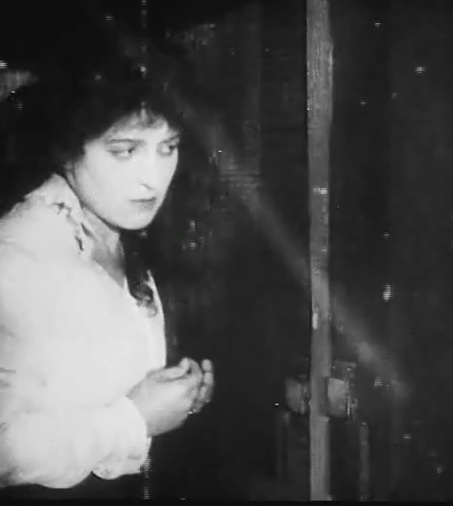 Helen Holmes is isolated in a closed cattle car in "The Pay Train" (1915). 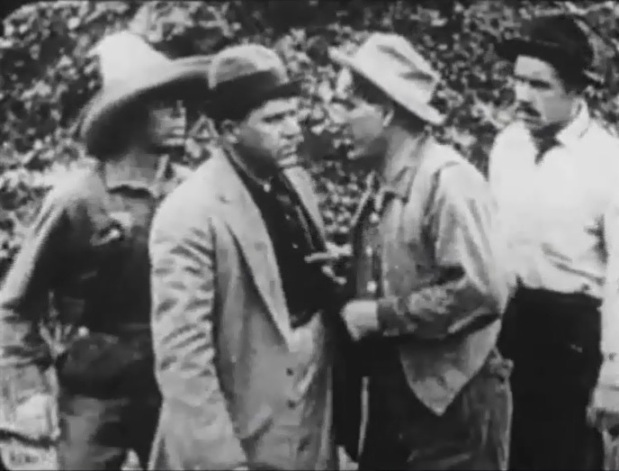 The four evildoers: the one on the left is Hoot Gibson in "The Pay Train" (1915). 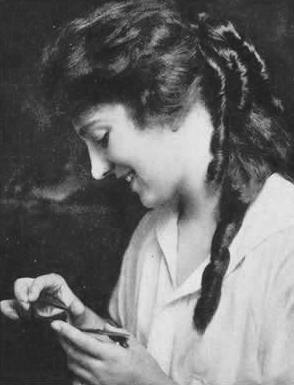 Helen Holmes prepares a string with a hook in "The Pay Train" (1915). 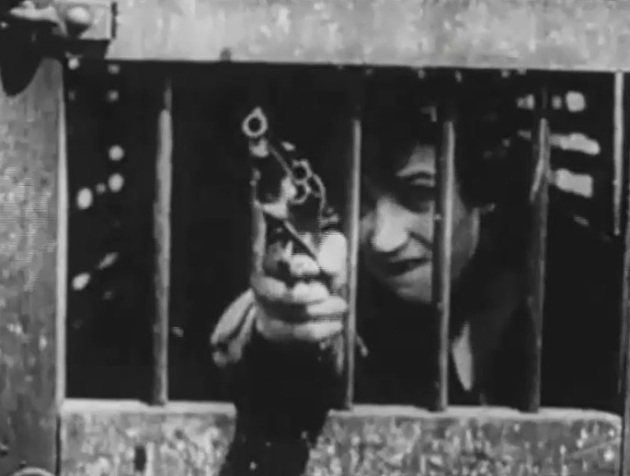 Helen Holmes uses a string with a hook to try and raise a pistol in "The Pay Train" (1915). 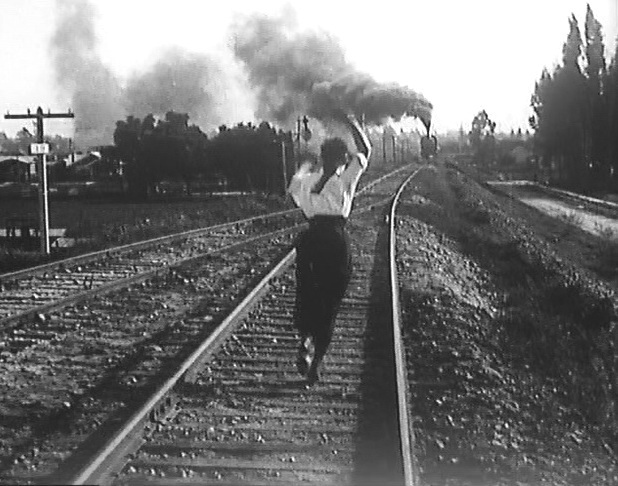 Helen Holmes shoots to try and raise the semaphore arm to prevent the train from derailing in "The Pay Train" (1915).